13 Above: Bizarre Organ Donor Dolls ?!! 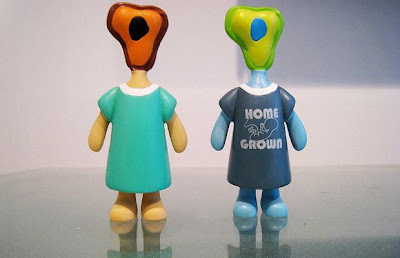 Bizarre Organ Donor Dolls ?!! These dolls are all heart - and lungs, eyeballs and brains. 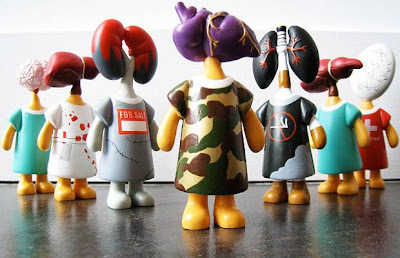 David Foox, an artist based in Denver, Colorado, has created a collection of organ donor dolls. 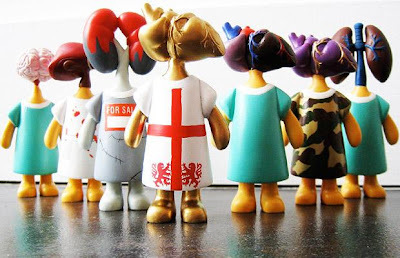 Inspired by his Uncle Ken's double lung transplant, Foox designed the dolls which have nine different organs as heads and come in 24 different colourways. Some are rarer than others. 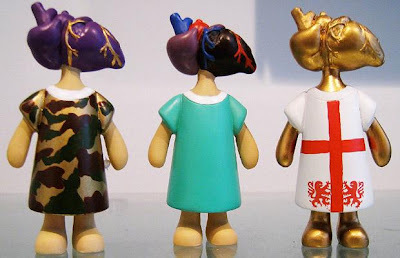 Pictured above are the heart donor dolls, with the rare Purple Heart in a camouflage hospital gown, and Lionheart in a St George's cross. 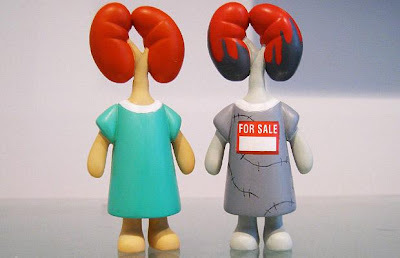 The standard kidney donor doll, and the limited edition Black Market Kidney doll. 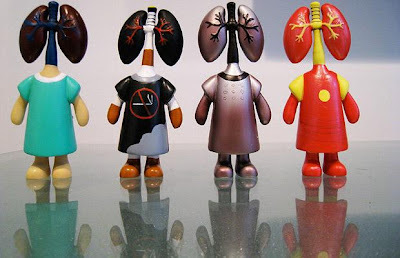 Four different lung dolls, including Smoker's Lungs, Iron Lungs and Invincible Lungs. 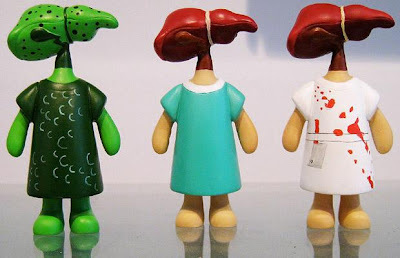 Liver donor dolls, including the Pickled Liver doll on the left and the Lecter on the right. 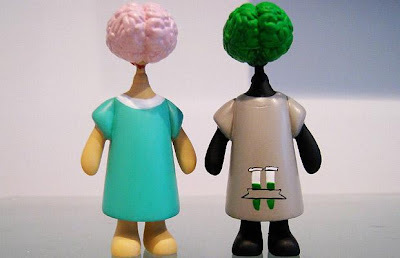 The regular brain doll and the Nuclear Thinker. 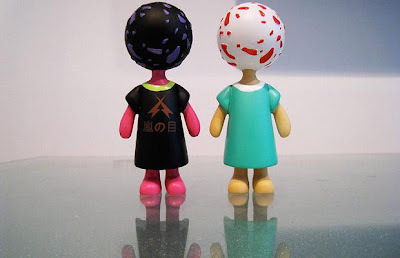 Plasma dolls. The one on the left is called Eye of the Stormive. Stem cells. 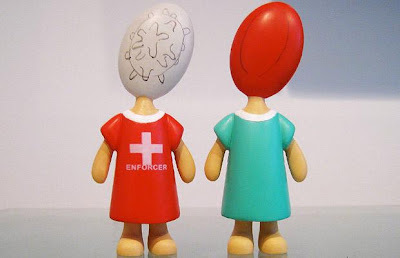 Each doll wears an ill-fitting hospital gown, open at the back. I Was Hitler's Secretary .... Guess Who ? Future Space Vehicles By "Cosmic Motors"
The Giant Hand Of Atacama Desert..AMAZING !! Google Is Getting "Smarter" !! Is This The World's New Tallest Man ? Iron Man !! Real Or Fake ? Obama Introduces Puppy In Politics ? Competitor Of Tata's NANO? A Complete Overview !